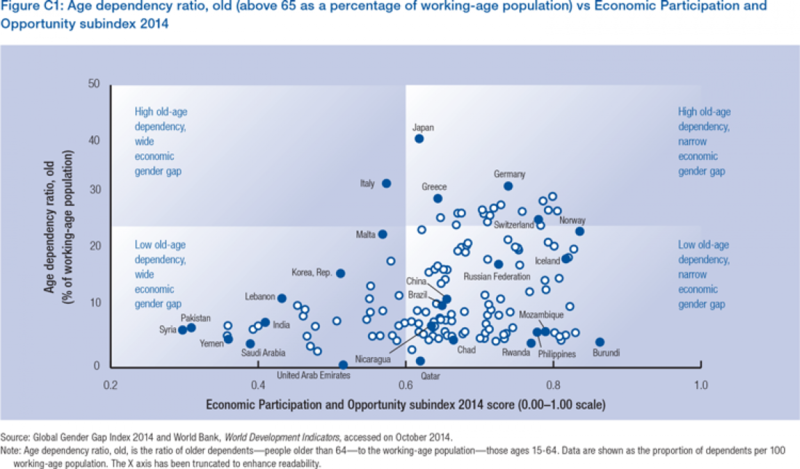 Figure C1 plots the Age dependency ratio, old (above 65 as a percentage of working-age population) indicator relative to the Economic Participation and Opportunity subindex 2014. 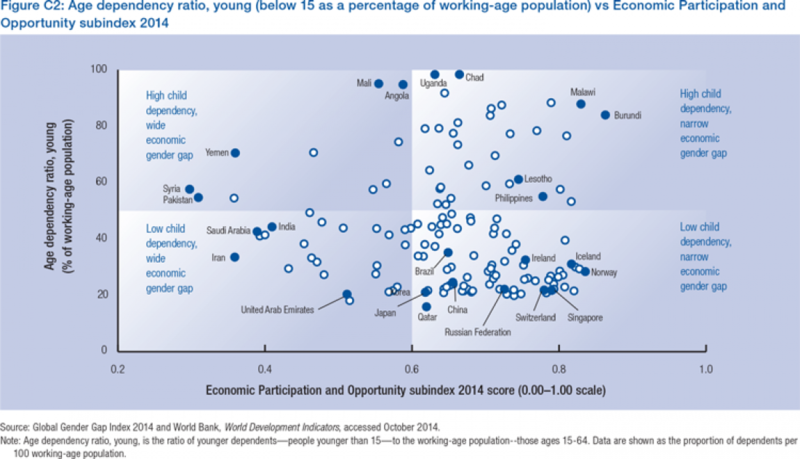 Figure C2 plots the Age dependency ratio, young (below 15 as percentage of working age-population) indicator relative to the Economic Participation and Opportunity subindex 2014. The information can be viewed as corresponding to four categories of countries: high old-age/child dependency with wide economic gender gap; low old-age/child dependency with wide economic gender gap; high old-age/child dependency with narrow economic gender gap and low old-age/child dependency with narrow economic gender gap. 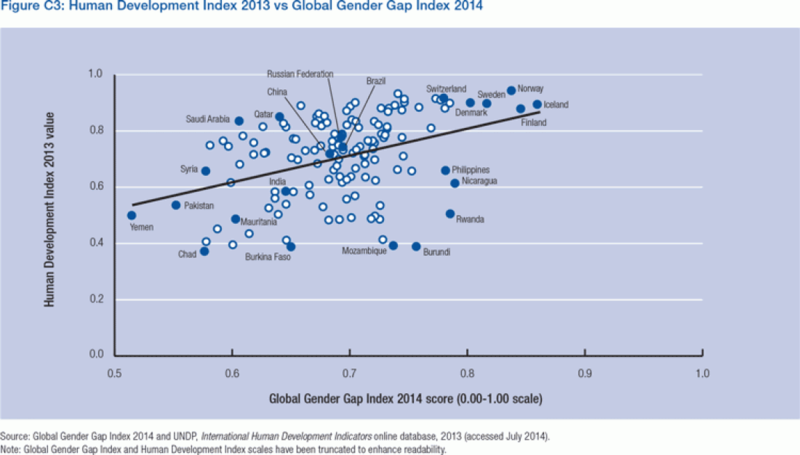 Figure C3 plots the Human Development Index 2013 relative to the Global Gender Gap Index 2014. The graph shows a correlation between the two indices. 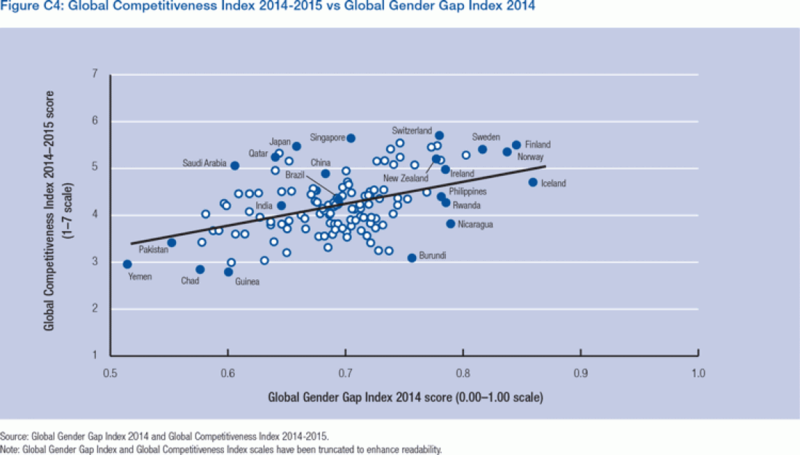 Figure C4 plots the Global Competitiveness Index 2014-2015 relative to the Global Gender Gap Index 2014. The graph shows a correlation between the two indices.